Exeter’s airport has been sold by Balfour Beatty for an undisclosed sum to Patriot Aerospace, the aviation division of Rigby Group PLC. Balfour Beatty bought the airport in January 2007 from Devon County Council for £60m. It employs 305 staff. There are currently flights to about 40 destinations. Rigby Group said the future of the airport’s staff was secure and it hoped to add more routes. Rigby Group owns Coventry Airport, British International Helicopters, based at Newquay, and a string of hotels. Sir Peter Rigby, Chairman of Rigby Group, said he wanted to work with Exeter’s main carrier Flybe and also wanted to encourage other airlines to fly from the airport. Flybe sad it “welcomed” the purchase. A few days earlier, Flybe (based at Exeter) reported a a pre-tax loss of £40.7m for the year to 31 March, against a loss of £6.2m the year before (a 7-fold rise). It has had falling numbers of passengers, blaming the cost of jet fuel and the price of APD for domestic flights. With Flybe in trouble, the airport’s future might become dependent on other developments. Exeter’s airport has been sold by Balfour Beatty for an undisclosed sum to Patriot Aerospace, the aviation division of Rigby Group PLC. Balfour Beatty bought the airport in January 2007 from Devon County Council for £60m. It employs 305 staff. Rigby Group said the future of the airport’s staff was secure and it hoped to add more routes. Balfour Beatty chief executive Andrew McNaughton said the deal would “ensure the future viability of the airport”. The company already owns Coventry Airport, British International Helicopters, based at Newquay, and a string of hotels. 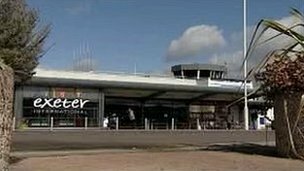 Sir Peter said Exeter International Airport’s existing 40 routes would be protected and he would look to add new ones. He said he wanted to work with Exeter’s main carrier Flybe and also wanted to encourage other airlines to fly from the airport. Flybe told the BBC it “welcomed” the purchase. Founded in 1975, the Rigby Group has interests in technology, aviation, property, hotels and investments. Managers said it employed more than 6,000 staff worldwide. 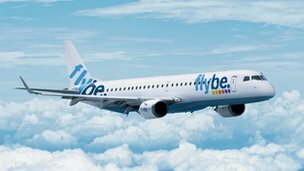 Flybe, the troubled Exeter-based airline, has seen losses increase after seeing passenger numbers fall and fuel costs rise. It reported a pre-tax loss of £40.7m for the year to 31 March, against a loss of £6.2m the year before. Flybe has shed hundreds of jobs and is looking sell assets as it attempts to revive its fortunes. It is selling 25 pairs of arrival and departure slots at London Gatwick to Easyjet for £20m. The airline has also deferred the delivery of 20 Embraer aircraft, and has agreed in principle to cut its pilots’ pay by 5% in return for extra time off. Flybe said UK passenger numbers fell by 1.1% last year to 7.2 million from 7.3 million. Fuel costs rose to £122.6m from £106.4m the year before. “Our results for 2012-13, while expected, are nonetheless disappointing. During the year, we have taken difficult decisions as part of our turnaround plan, which have affected all our people,” said chief executive Jim French. The chief executive of Flybe has insisted that the struggling UK carrier was on track to “reclaim its position as Europe’s leading regional airline”, in spite of reporting a near sevenfold increase in its annual pre-tax losses. Flybe lost about £4.50 for every seat flown, while its load factor rose 1% 64.1, which is still well below the 85-plus regularly recorded by Ryanair and easyJet. Exeter Airport sale: Where did all the money go? How is a one-off windfall of £48m spent? Devon County Council answered that question five years ago when it sold Exeter International Airport to Regional and City Airports Limited for £60m. After using £12m to pay off bills, the council has handed out the remaining money to more than 700 organisations which requested funding. Amounts ranged from £25 to multimillion-pound investments. The last of that money has just been spent. So where did it all go? Council leader John Hart said: “We decided it would be better to disperse it around the county so everybody could benefit. “It would be over and above what would normally be grant-aid available. Having owned the airport since the end of World War II, but unable to spend money expanding it, the council wanted to get the most out of it while it could. Mr Hart said: “The money was at least 50% match-funded, so nearly £100m went into the county on things that people wanted at a time when we were at the height of a recession. The largest beneficiary of the funds was Haven Banks Outdoor Education Centre which received £5.6m. The new centre, at the base of Exeter canal, will provide courses in sailing, canoeing, archery and raft-building and replace the old centre on the Quay which is now 25 years old. Mr Hart said: “The Haven Banks project is going to be a regional if not national leader in watersports. The grants varied enormously – from Cullompton Community College getting £25 for its Junior World Hovercraft Championships, to Averton Gifford Pre-School which got £63,600 for solar panels and a covered outdoor play area. 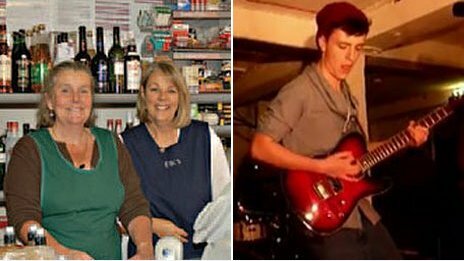 Pulse, a music project in Teignmouth, was given £600 to refurbish its community space. Having gone into liquidation, another music organisation, The Cave, took over and continues to benefit from the refurbished area, which includes a kitchen. Manager Robin Brown said: “We’re a community rehearsal space for music and I run open nights for bands and try and encourage people in the community to play music and make some noise. One sector to benefit from the funds were voluntary organisations which Mr Hart said “we don’t normally support” because “we don’t physically have the money”. East Budleigh Community Shop, operated by 45 volunteers, accepted £12,500 to help get the shop, run by local people for local people, up and running. But the shop has done so well it is about to move from a temporary building to a permanent premises double the size of the current one. 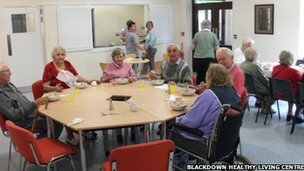 Blackdown Healthy Living Centre received £265,000 for a new building. It is used by many different groups and provides a day care centre largely run by volunteers. Chairman Paul Steed said: “It wouldn’t have happened without the money. Even though the pot is now empty, the results of the cash will continue to be seen. Mr Hart said: “A lot of the money that’s been allocated still has not yet been spent. “Schemes take longer than you think to get going, so we still have a number of small and large schemes that have got to come into fruition. Posted: Wednesday, June 26th, 2013. Filed in News about Airports, Recent News.